Welcome to HeadAche Designs, we are a Chambersburg, PA design firm. We offer a variety of services, from graphic design & website design services, social media marketing and landscape drafting. We provide services in Pennsylvania, Maryland and West Virginia - Including Hagerstown and Frederick, MD, Martinsburg, WV, Chambersburg, Carlisle, Shippensburg, Gettysburg, Mechanicsburg, Camp Hill, Harrisburg, Hershey, York, Lebanon and surrounding areas in Central PA. Feel free to wander around for more information. Don't get left out in the dark without a web presence, or with a dated non-mobile friendly website. We specialize in responsive website design, after all why wouldn't you? 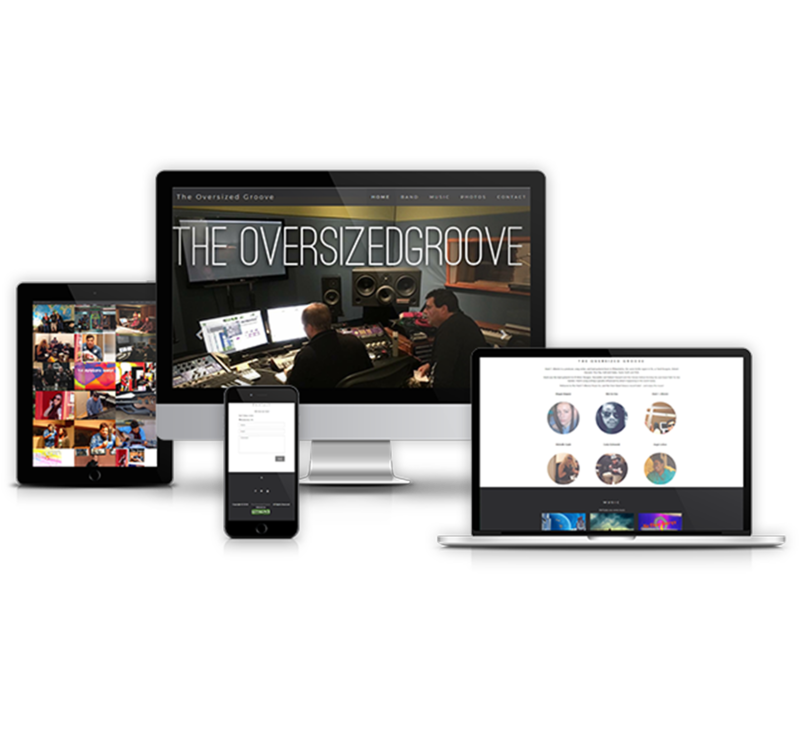 Let us bring you up to speed with a website from scratch or by customizing templates as budgets demand. We can even help integrate your social media accounts into your website. Do you already have a website that is eye-catching, engaging and optimized for search engines, but you don't want to have to worry about making changes and updates yourself? We also offer website maintenance, contact us today! Are you starting up a new business and need some help with branding? Do you have a existing business that needs revamped? We can create and help you with logos, brand identity, brochures, business cards, flyers, letterhead, envelopes, direct mail, postcards, newsletters, posters, banners, invitations, menus, event programs, advertisements, website graphics and social media graphics. In todays day in age, social media is a must. Depending on what your business is and how you use it, social media can really play an important role in helping you get noticed and staying relevant. There are many forms of social media - Facebook, Twitter, LinkedIn, Pinterest, Google+, YouTube, Foursquare, Instagram, Wordpress, etc. We can also assist you in setting up a blog in blogger, tumblr or wordpress. Let's not forget the importance of email marketing and local business listings. We can help you figure out the best use of social media and digital marketing for your business. Description: Custom responsive website design and maintenance with social media integration. Description: Create and design a logo that meet their needs. 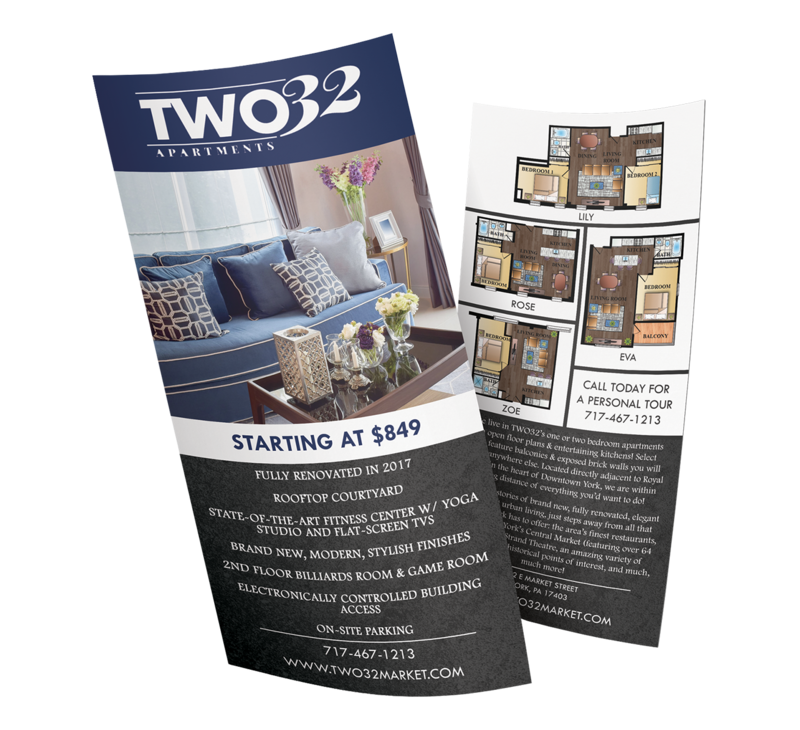 Description: Create a brochures for the various apartment floor plans that they offer to their clients.